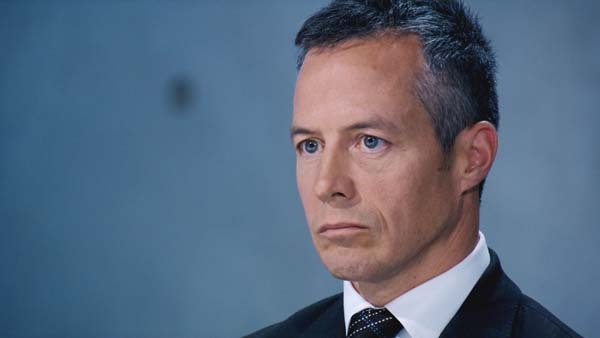 Myles Mordaunt became the tenth candidate to leave The Apprentice as he led Team Evolve to a loss in the “start a business from scratch” task. We were down to the last six in The Apprentice with the interview stage beckoning for five of the candidates. It was the trading task this week with the candidates given £150 and told to grow a business from scratch. On day one they will be working from a stall and finding out what sells before then stocking a shop on day two. “Smell what sells” advised Lord Sugar. The team’s were mixed up with girls v boys. Luisa and Myles put themselves forward to be project managers on the two teams. Luisa has retail experience so it was a sensible choice. 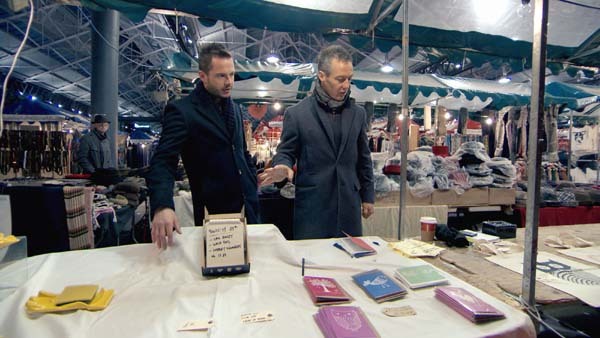 The teams went off to Spitalfields market to set up their stalls. The girls chose to select fashionable clothing products whilst the boys, led by Myles, seemed to dither. After a great deal of thought they chose to offer homeware products. Luisa went for volume products like hats, leggings and tights trying to stay on-trend. Myles was going for more upmarket homewares ceramic products. The problem was that he could only buy 16 items which were rather lost on the largish market stall. Whilst Myles and Neil were not selling the ceramics, Jordan went off to sell greetings cards. The girls had shifted their stock and reinvested it in similar products. Meanwhile the boys had sold their butter dishes and ceramic notebook holders and were looking to re-stock but Jordan was busy selling his cards. On day two the teams started to set up shop in a “pop up mall”. East Side Fashion was the shop name for the girls with Casa Unique for the boys. Jordan was sent off to buy candles as a new line for the boys shop which looked a little bare. Meanwhile the girls went off to buy some high end dresses. Both the teams were worried about their sales. The girls were struggling to sell the dresses but the hats and the scarves were moving. Meanwhile the boys were also getting concerned so Jordan was dispatched to buy some high end products. The boys had decided to bet big by buying a high end vase. However when they saw what Jordan had bought Myles and Neil didn’t think they could sell it so Jordan was given 30 minutes to sell it to another retailer himself. Meanwhile the girls were loading up with hats and selling the rest of the stock at bargain prices. At 6pm the teams shut up shop and left for the night. In the morning their cash and stock values will be added to get a final total. It was a clear win for the girls led by Luisa. A crushing defeat for Myles and the boys. The girls went off to be fed by a Michelin chef at The Cube to celebrate whilst the boys went off to The Bridge Cafe to dissect their loss. With the team down to three there was no escape for those in the losing team; Neil Clough, Myles Mordaunt and Jordan Poulton had a tough task to defend their actions with Myles and Jordan more in the firing line. 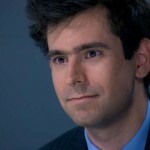 Neil played the best salesman card to “exonerate himself from blame” as Lord Sugar put it. It seemed as if Myles had run out of chances as he looked a little out of his depth on project management in the task. However the discussion with Lord Sugar turned to the business ideas of each of the team and Jordan came under pressure as he explained he had a partner in his games business idea. This did not impress Lord Sugar. We had also learnt that Neil didn’t think he was a “one trick pony” (sales is his trick) and that an online estate agency was his business idea. 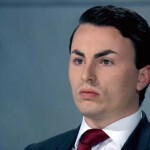 Despite not being convinced by Jordan, Lord Sugar decided to fire Myles Mordaunt. For me it was the right decision to fire Myles who had displayed a lack of judgement on two or three occasions during the series. We also saw a possible new strategy for avoiding a firing from Jordan. 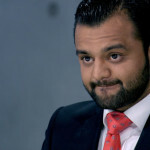 As Lord Sugar mentioned Jordan’s name and looked like he was going to fire him (as he often does before switching his fire onto someone else)., Jordan started to choke. This stopped Lord Sugar in mid speech. It maybe worth someone trying that approach again in the next series. So five candidates remain and Lord Sugar’s search for his business partner continues.